When John Mill entered the orbit of Harriet Taylor he was twenty-four years of age, and she seventeen months his junior. 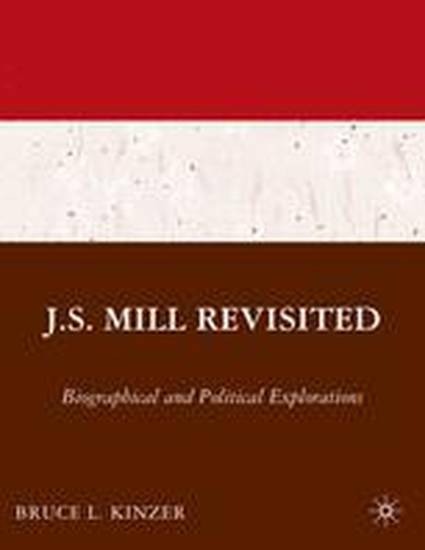 He was a young man whose extraordinary intellectual gifts had already been acknowledge in certain circles; she was part of a circle whose most prominent member, William Johnson Fox, appreciated the worth of John Mill's gifts and the varied use to which they could be put. A charismatic Unitarian preacher and impassioned political radical, Fox was pastor of the South Place congregation in Finsbury. He also edited the Monthly Repository, the periodical organ of the British and Foreign Unitarian Association. Unitarianism and Utilitarianism, movements integral to the English Enlightenment, shared a powerful commitment to the causes of civil equality, religious liberty, free inquiry, educational reform, and general human improvement. Unitarian and Bethamite circles conspicuously overlapped. Both John Bowring and Henry Southern, coeditors of Betham's Westminster Review, were Unitarians. When the first issue of the Westminster Review appeared in January 1824, the author of its opening article was none other than W.J. Fox. When Jeremy Bentham died in June 1832, his funeral oration was delivered by Dr. Thomas Southwood Smith, quondam Unitarian minister and a man still closely associated with Fox. A common Unitarian upbringing underlay the marriage of John and Sarah Austin. The world of respectable London radicalism familiar to the young John Mill incorporated prominent strains of Unitarianism and Utilitarianism. There was nothing especially odd in his being invited to dine at the home of John Taylor and his young wife Harriet, two of W.J. Fox's most valued congregants.